At IntraSee we have a passion for implementing solutions that astonish and delight, and we enter each project with absolute confidence that it will be a resounding success. Oftentimes our clients will ask us why we are so sure about what we are doing, and the answer to that is simple: Usability Testing. Over many years we have conducted complex testing and analysis across many organizations and demographics world-wide. Based on those results we have baked that feedback into the things we do and the way we do them. Ultimately it’s the people using the solutions that determine how successful a project actually is. Not the people implementing the solution. You may have hit all your project goals in terms of scope, budget and timeline, but if people don’t like what you did, then the project was a failure. The perfect example of this was exemplified by the Jurassic Park movies. On paper it was a fantastic idea – who wouldn’t want to visit a dinosaur park?! An earth-shatteringly, brilliant blend of technology and entertainment. Many years went into its development, all designed and built by the best scientific minds on the planet. All they then had to do was open the doors to the general public and reap the rewards of their innovation and genius. What could possibly go wrong? Well, four movies later (only the first two of which had a remotely credible storyline) we discover that many things could go wrong. A singular lack of usability testing (repeated over and over again), led to the same outcome: failure (well, not box office failure, but you know what we mean). The lesson learned (if indeed it needed to be learned) is that as smart as we think we are, there’s no substitute for having “real people” validate our hypotheses. 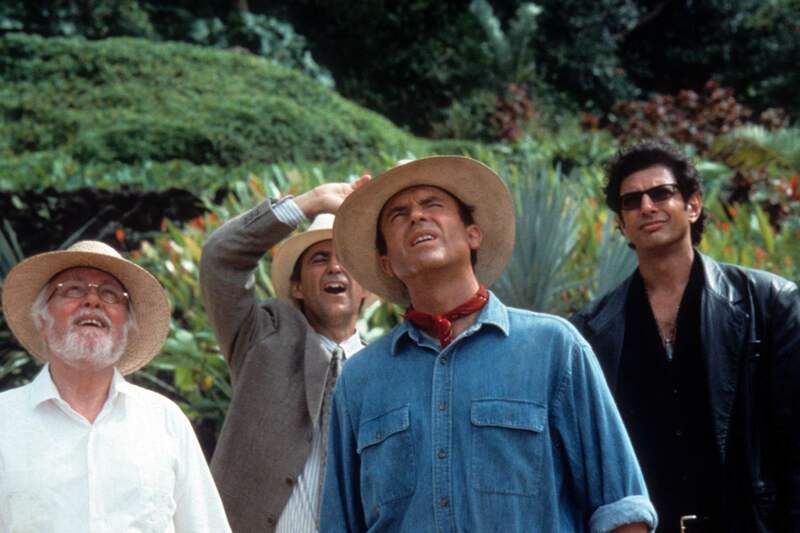 How you do that we’ll cover in a future blog, but for the time being let’s ponder how Jurassic Park imitates the real-life experience of implementing ERP software – in 10 easy to digest lessons. And, yes, it’s truly scary! Editorial note: Jeff Goldblum (Dr. Ian Malcolm) got nearly all the best lines. All projects begin with general excitement and great anticipation. Kickoff and initial design meetings tend to be stress free and filled with the hope that something great will happen. But what really matters is what happens when the go-live date occurs and your user base starts using the system for real. What you have to avoid at all costs is some kind of horrific reaction. With proper usability testing you can avoid that by learning all the relevant lessons early in the design/development cycle. Even if you are using an Agile methodology, if the only person providing feedback is the product owner, then you’re in big trouble. Dr. Ian Malcolm: Your scientists were so preoccupied with whether they could, they didn’t stop to think if they should. The common mistake people make when implementing anything is to assume that more features and more stuff = a better chance of making people happy. Usability testing actually tells the opposite tale. What people really want is for you to make things easy for them. And, typically, that entails less things and less stuff. Sarah Harding: Don’t light that! Dinosaurs pick up scents from miles away. We’re here to observe and document, not interact. Dr. Ian Malcolm: Which is a scientific impossibility. Heisenberg Uncertainty Principle. What you study, you change. This is a very true statement – there is no such thing as a perfect usability test. But you can dramatically improve the accuracy by minimizing interference with the subjects tested: such that you don’t end up “leading the witness” to false conclusions. That said, don’t get hung up on creating plans that you’ll never have the time or resources to implement. There’s actually many ways – low-fi and hi-fi – to conduct testing. What you are attempting to do is learn as much as you can, given limited time and resources. Don’t let perfection be your enemy. You may not be able to spend as much time as you’d like conducting usability testing, but you can do something. Be sure to make that a goal. Don’t underestimate the power of common sense. Make sure at least one person on the implementation team has it. And, of course, make sure you listen to that person! Many ideas, while great on paper, don’t actually fly with “real people”. So, the more feedback you can get from those kind of people the better. And that can be tough sometimes. Avoid designing a solution that satisfies the needs of the squeakiest wheel. Dr. Ian Malcolm: Taking dinosaurs off this island is the worst idea in the long, sad history of bad ideas. And I’m gonna be there when you learn that. The best part of usability testing is that there’s generally just a handful of people to see the results of a bad idea, whereas going live with that bad idea generally involves your entire organization. And that’s not good. Recovering from that impression will cost you more than getting it right the first time. Sarah Harding: [referring to the T-Rexes] This isn’t hunting, Ian, it’s searching. They’re looking for their infant. Dr. Ian Malcolm: Let’s not disappoint them. It may seem very obvious, but when people start using your ERP system, they generally want to do it in the shortest amount of time possible. They aren’t doing this for the fun of it. And, generally, they don’t even see it as part of their job description. Don’t disappoint them. Your job is to figure out how best to make this a good experience for them. So watch and learn. Observing an actual usability test done well can be massively edifying. John Hammond: Don’t worry, I’m not making the same mistakes again. Dr. Ian Malcolm: No, you’re making all new ones. One “popular” alternative to real usability testing is to just roll things out to production, wait for people to start complaining, and then take some of those complaints and turn them into a new set of business requirements, which then get rolled out into a subsequent phase. The quotes are placed around the word popular for a reason. While this technique may be popular with the project team, it’s not quite so popular with everyone else in your organization. All you are doing is churning out a different set of mistakes on a periodic basis. And, usually, at great expense. Dr. Ian Malcolm: How many Sarah’s you think are on this island? Sarah! When it comes to ERP solutions, less is most definitely more. While you may be able to craft a 1000 word explanation that describes a certain HR policy on a landing page, you would be better advised not to. Make it concise and simple. Usability testing (and common sense) says that the more words there are, the less chance that someone reads them. And what happens in that situation is typically a call to the Help Desk. “Can you please explain the policy for ……”. Calls to the help desk are symptoms of a problem. When was the last time you called amazon.com to get advice on how to buy a book? Ian Malcolm: Hey, when the adult sees us once again with his baby, uh, isn’t he gonna be like, “You”? You know, there may be some, uh, angry recognition. Sarah Harding: Who knows? He may be just happy to see us. Things that may appear to be minor nuisances to you are, typically, major issues to “real people”. Don’t imagine for a second that they’ll be cool with them, because they won’t. Inconsistent use of fonts, badly worded labels, a mish-mash of navigation options, things not being where they should be, inaccurate search results, data scattered across multiple systems. They may all seem not a big deal to the testing team as they run through test scenarios for the umpteenth time. But try telling that to an already busy manager trying to complete a transaction. Dr. Ian Malcolm: I’ll be right back. I give you my word. Kelly Malcolm: [pounds her fists on the railing] But you *never* keep your word! The worst thing about never taking “real people” into account when implementing ERP solutions is that eventually you will train people to never trust you. No matter how many times you tell them that the next version will solve all their issues, they’ll never believe it. And they’d be right not to. It’s very rare in life that we stumble across the perfect way to do anything. Only by truly listening and observing can we ever hope to improve the way we do anything. And then, once we think we have learned something, we need to test that hypothesis. And that’s the essence of Usability Testing. If you would like to talk more about usability in your project, drop us a note and we would love to connect.